The 2018 Innovator Summit was jointly hosted by IIFH, together with the Energy Institute at Colorado State University (CSU), the UC Division of Agriculture and Natural Resources (UC ANR), and the Mixing Bowl. 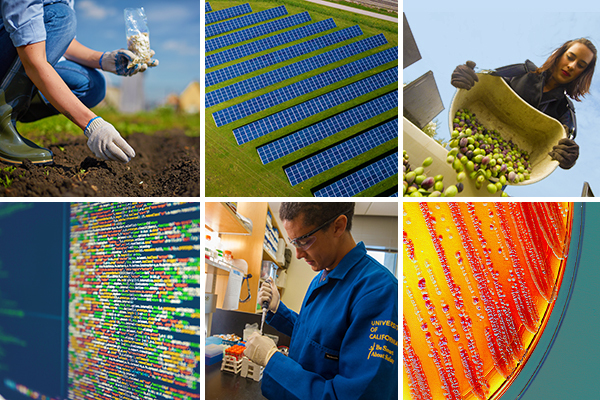 The event focused on transformation of the food system along three distinct tracks: Energy, Biotechnology, and Digital. Keynote presentations, parallel breakout sessions, and innovator showcases provided the opportunity to further develop joint interests and collaborative efforts. 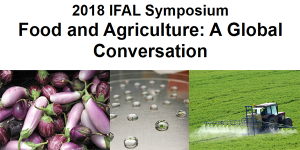 Guests from industry, research, technology, finance, government and non-profit sectors addressed common challenges and uncommon solutions across food, ag and health. Check back in soon for a summary of the event’s proceedings. The day’s format consisted of: Registration and refreshments at 8am, followed by welcoming remarks and opening keynote at 9am, then the parallel digital/energy/biotechnology tracks throughout the day, with an extended 12-2pm innovation showcase lunch, followed by our plenary panel, closing keynote and evening cocktails (6-8pm). Permits were provided for visitors until 9.30am at the Gateway Parking Structure south of the theater, from an attendant who will direct you. From I-80 West (from Sacramento): Take the UC Davis/Mondavi Center exit. Turn right onto Old Davis Road and continue north to the parking structure entrance on the right. From I-80 East (from Bay Area): Take the UC Davis/Mondavi Center exit. Turn left onto Old Davis Road and continue north to the parking structure entrance on the right. From Highway 113 South (from Woodland/SMF airport): Take the I-80 east off-ramp towards Sacramento. Take the UC Davis/Mondavi Center Exit near the end of the ramp and turn left onto Old Davis Road. Continue north to the parking structure entrance on the right.